Everyone loves extra storage, and more storage! You can never have enough storage! You are always bound to run out of storage! Enough about storage let us go to the device! 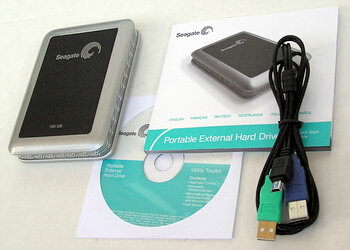 This is the Seagate Portable HD, and I have the 160 GB version. Have you ever been over at friend’s place, and wanted to transfer movies, a lot of pictures, or mp3s and it would take too long to burn to DVD. And most other external HDs are just too bulky and some require software to be installed. This is your perfect solution! No power cord neccesary, powered through the USB. No software neccesary, completely plug-n-play. Very Durable Case, and internal structure. A bit pricey, and not available everywhere. I know a lot of people use KVMs and basically they all do the main job of transfering between multiple computers all on to one screen,keyboard, and mouse. But I needed something with higher quality build and for heavy duty use. Quality of video is very high. You can switch sound from one computer and screen output from another. You can listen to sound from one computer and work on another computer. The Items connected by USB to the KVM will switch to the computer active on the screen. It comes with 4 KVM cables so you dont need to buy anything extra unlike other KVMs. I think it looks extremely smooth, and its very solid. It is known to have some problems currently with computers with nVidia motherboards. Overall: The audio connections are analog and not optical. Some people might see this as a negative but how many consumer KVMs come with optical audio? There is a connection for the audio out and the microphone! So you can switch between computers easily. I think this KVM does the job very well, and there are a lot of different keyboard-short cuts to switch different things between computers which makes it very flexible. Not just normally switching, so you have other options. I have bought other KVMs before, and none of them have included all the cabling with them before. I have given this product 4 out of 5 which is very good, but its because the problem with the mother board and its a little expensive, but other then that its a fantastic product. And it is also known to be apple friendly. This is the perfect gadget for those who travel a lot! It powers up any piece of electronic you have. They have really don an amazing job trying to get as many adapters as possible to work with their product. 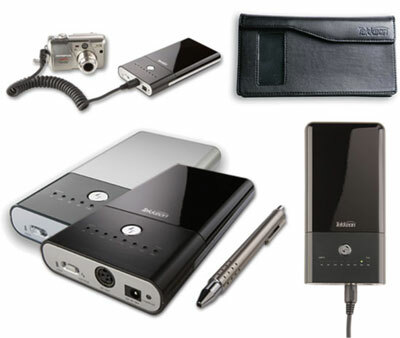 So you could charge your iPod, laptop, camera, phone, and even portable dvd player! Another gadget to add to my list! Even if you do have to buy the different types of adapters! There are so many! 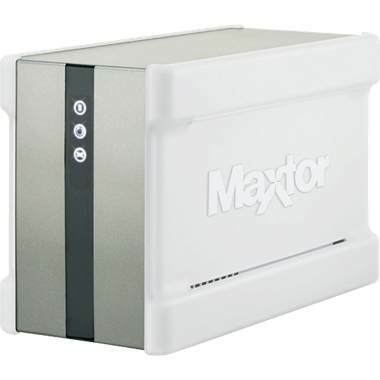 This is the new External HD from Maxtor which has a Gigabit Connection. A 500 GB 7200Rpm HD with a very clean AJAX (Google looking) Interface! It makes things really easy and makes streaming simple. Its more of a multimedia type Network Area Storage then a back storage on the network. But the one thing I worry about enclosure for Network Area Storages is if the hard drive fails! But it still looks sweet!! I still think the Infrant NV is the way to go! This list never ends! Seriously! I was just thinking of all the things I want to get later on when I save up enough cash. Which will disappear into this list. And my list of gadgets never end, but at least it keeps me entertained! It looks like such a cool screen, and the one before it was rated so high (2405FPW). And I have a Dell 20.1 Widescreen which is so freaking clear and good, but for some reason I just want the bigger one! dont ask me why! I just do! 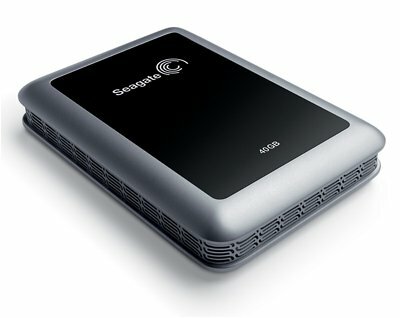 I have been looking for the best solution for a Network Area Storage that is very reliable and very useful at the same time. 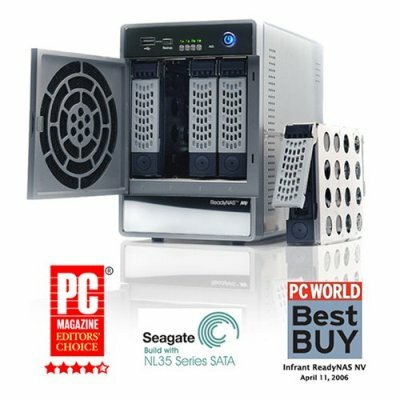 At first I was looking at the Buffalo 1TB Terastation, but then I read about all the problems people were having with it and it wasnt as simple as it was stated. And then I was thinking about getting the Maxtor OneTouch III 1TB, and I waited for reviews on this one as well. I was looking forward to it, because their NAS’s and external Hard Drives did so well. So I thought that the company would also have another successful product. But I was wrong, and some people are having difficulty with it. So after looking through multiple reviews and seeing my options I found the Infrant NV to be an amazing products with almost Zero drawbacks and everyone saying how happy they are with the product. Especially since the hard drives are all hot-swappable, and its a very simple system to setup and you dont need a computer to access it if you want to stream things from it. And one major thing that I found to be great is that it has a Gigabit connection unlike all the other Consumer grade NASs for some reason they think that we dont want Gigabit speed for out network! So now I am very happy to find that this product does the job. But now the price is always up there for a good product! And I found it at other places cheaper then amazon by about $200, but I still have to wait and save! These are the two major products that I have been looking at for the past couple of weeks, and I have been thinking about them for a while! So many gadgets and so little time!